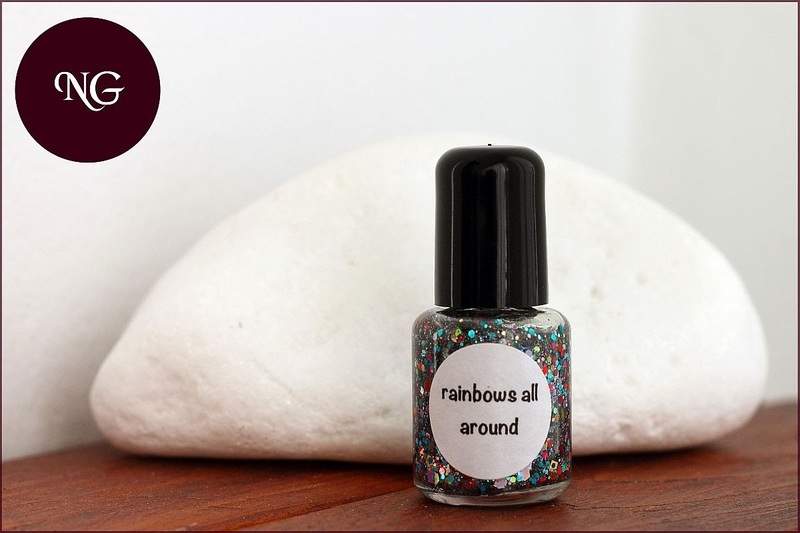 The glitter topper is from Chaos & Crocodiles and it's called Rainbows All Around. I have a mini bottle, with the old C&C design. To be honest, I like the new version better. I invite you to visit the Chaos & Crocodiles website. 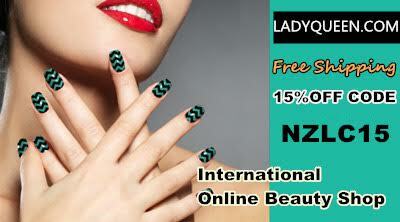 Sarey has some really nice 3-free and cruelty-free polishes there. Rainbows All Around is a glitter topper in a clear base. 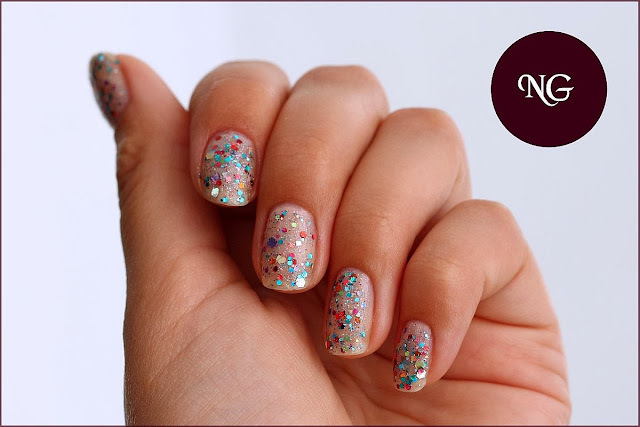 Various shapes, sizes and colors mix to create this amazingly colorful glitter polish. Under the glitters I have applied a light base color. 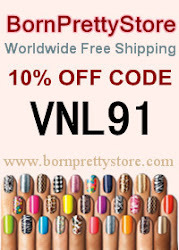 I have used Brooklin French Manicure Nr. 4. This way the glitters are more visible then on bare nails.